The weather in New York on Saturday was gorgeous! I spent the day outside enjoying the beautiful weather and a picnic in Central Park with my boyfriend. It felt so good to spend the whole day outside without a jacket and wearing sandals, and it makes me excited for all the warm summer days to come! Obsessed with this look! 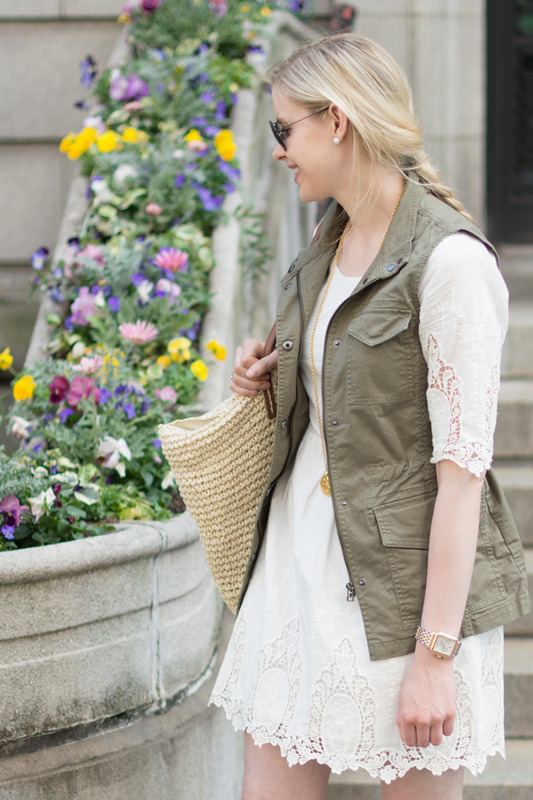 Perfect pieces styled for spring. You're gorgeous! 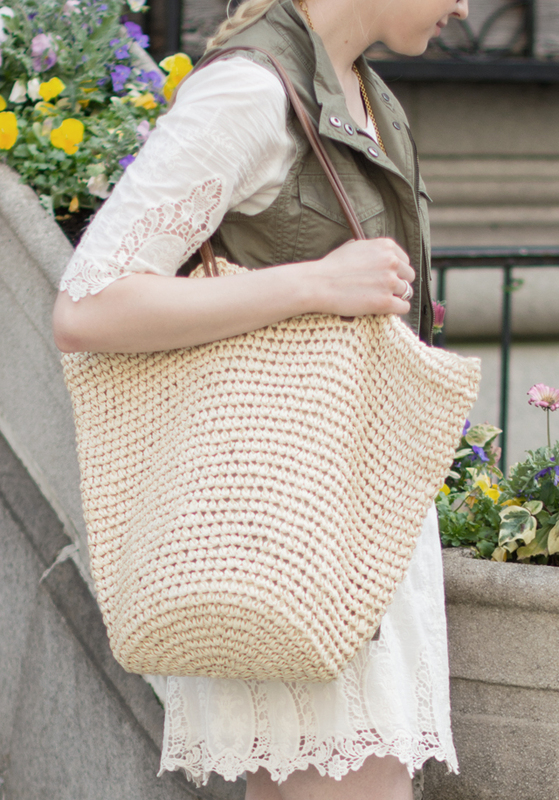 You look so perfect for Spring! 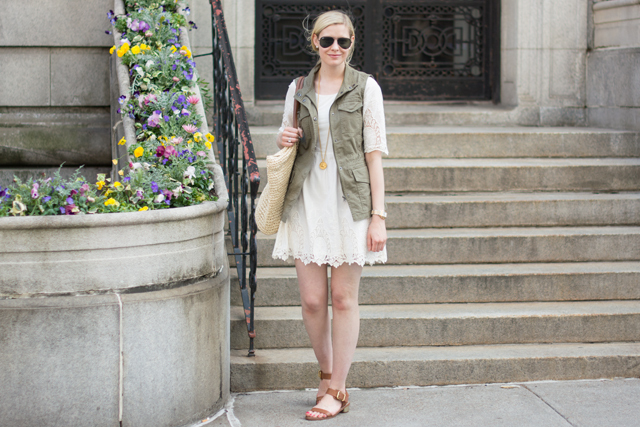 Those sandals and that olive vest go so well together!!! Love this outfit! The lace dress is so pretty. Love this look!! Everything about it is just PERFECT!! You can never go wrong with a little white dress! 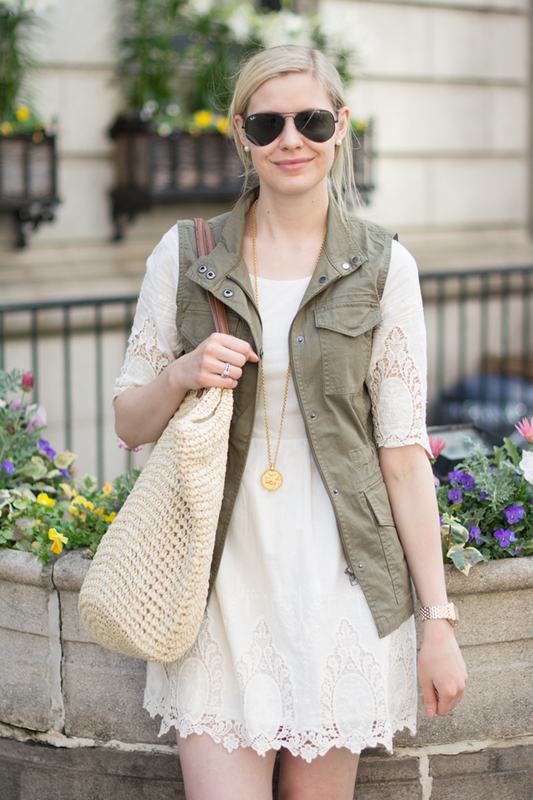 I'm loving how you styled yours with a vest here!! I LOVE your entire outfit, you look darling. Your sandals are perfection!! Cute dress. And love the sandals. Lovely outfit for casual walking. This look is awesome!! It's like you were born to wear this. I love the dress and your sandals! Oh, and you have such a lovely smile, too!! This is a really cute look! I was drawn to your blog name because it's very similar to mine haha.